A terrifying tower has been created as the UK’s highest man-made outdoor climbing wall prepares to open. 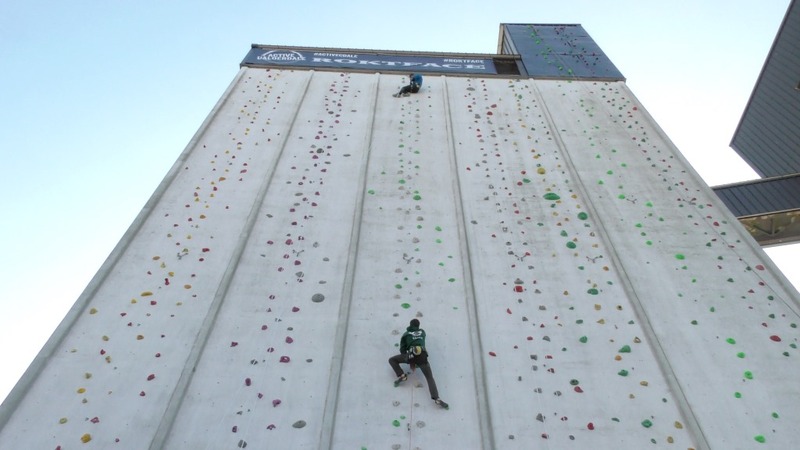 Higher than both the Tower of London and the Angel of the North, the towering ROKTFACE wall at ROKT climbing centre in Brighouse, West Yorkshire, will now see people climb routes up to 36m. The climbing wall – roughly equivalent to a 12 storey building or seven double decker buses stacked on top of each other – has been grafted on to the face of a sky-scraping disused flour silo just months after climbing was finally confirmed as a sport in the Tokyo 2020 Olympics. This entry was posted in Brighouse, Get Involved / Have Your Say, May and tagged calderdale, Climbing, Get Involved, May, News, ROKT Climbing Gym. 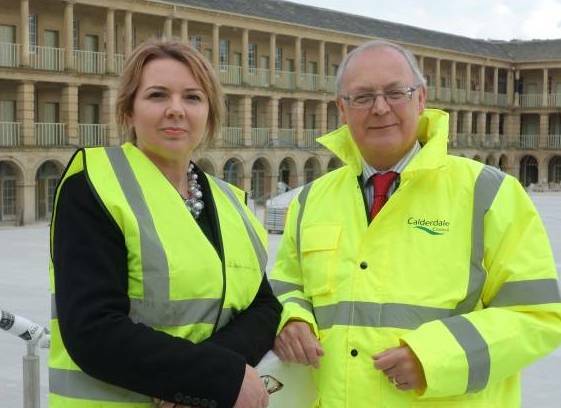 The Piece Hall in Halifax will re-open its gates to the public on Tuesday 1 August 2017 after the completion of Calderdale Council’s multi-million pound transformation programme, which includes support of £7million from The National Lottery. Independent businesses from the food and drink, retail and leisure sectors, keen to be part of the Grade I listed building’s renaissance are now being encouraged to step forward – a final call to join an exciting list of tenants already signed up for the start of this exciting new chapter. This entry was posted in Aug, Get Involved / Have Your Say and tagged calderdale, Event, Get Involved, Halifax, News, Piece Hall, Yorkshire Day. Ways to reduce the amount of littering and fly-tipping in Calderdale have been discussed at the meeting of Calderdale Council’s Economy and Environment Scrutiny Panel. At the meeting of the Panel on Thursday 20 April, members of the Litter and Fly-tipping scrutiny review group presented their report and recommendations to reduce litter and fly-tipping in the borough. This entry was posted in Apr and tagged calderdale, environment, Fly Tipping, News. HEARTBEAT Brighouse – Latest Newsletter! The latest Heartbeat newsletter is packed with information on events, walks, classes and more. Whether you want to try Tai Chi, enjoy a social evening or join a lunch club there’s something for everyone! 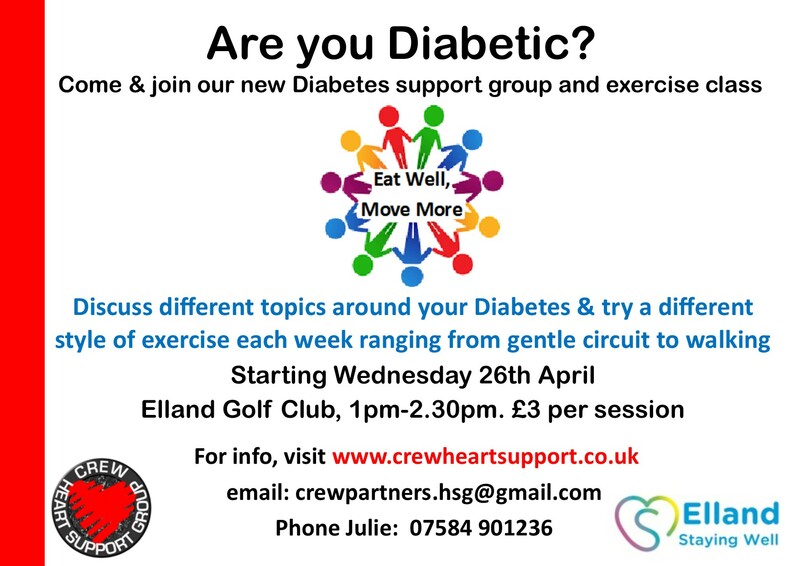 This entry was posted in Apr, Brighouse, Elland, Get Involved / Have Your Say, June, May and tagged Brighouse Heart Support Group, calderdale, Elland, Events, Get Involved, Heartbeat, June, May, News. 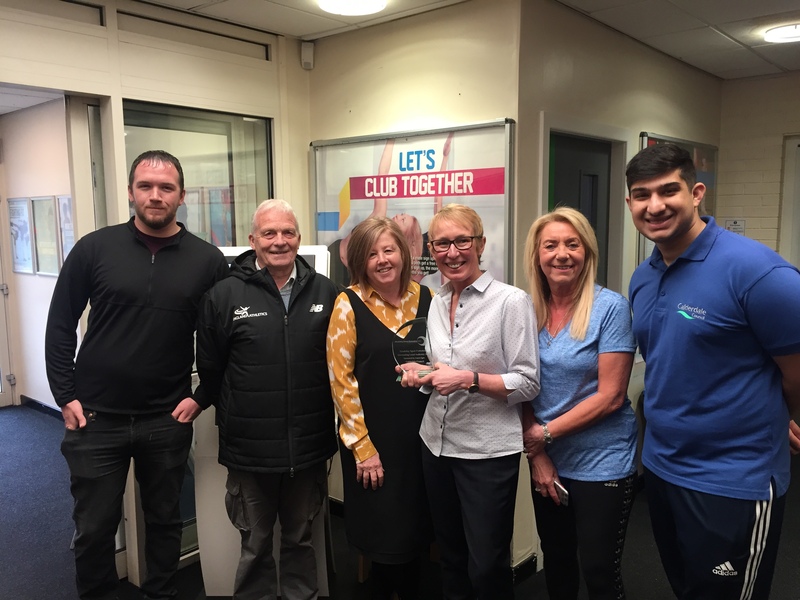 Calderdale Council has received an impressive regional accolade for its disability sports programme. Young people with disabilities can now take part in sports like football, tennis, swimming, trampolining and dancing, from ages 6 to 19. For more information about any of the sessions, please contact Calderdale Council’s Disability Sports Development Officer, Debbie Greenwood by email to Debbie.greenwood@calderdale.gov.uk or call 01422 341527. This entry was posted in Apr, Get Involved / Have Your Say and tagged calderdale, Calderdale Council, Get Involved, News. The sun shone as hundreds of people came together to celebrate the official reopening of Elland Bridge at the family fun day held by Calderdale Council and the Canal & River Trust on Sunday 2 April 2017. The bridge and surrounding area were alive with activity, with market stalls, musicians, entertainers, fairground rides, vintage buses and much more. On the canal, families enjoyed free boat trips and canoe taster sessions. Crowds gathered to see Transport Minister Andrew Jones cut a ribbon from a barge to declare the bridge, canal and towpath officially open. Elland Bridge reopened for pedestrians and cyclists in January 2017 and for vehicles last month, after being completely destroyed and rebuilt following the Boxing Day 2015 floods. The work to rebuild the bridge has been financed through £5.5 million from the Department for Transport flood recovery fund. This entry was posted in Apr, Elland, Get Involved / Have Your Say and tagged calderdale, Elland, fun day, News. Learn about scams in the latest newsletter from SAFER! The SAFER team have collaborated with Bradford Council and Collingwood Learning to develop two monologues which talk through how 2 people unwittingly became fraud victims and the impact it had on them. The latest newsletter also has information on the latest scams including HMRC Tax Rebate Scams, Solar Panel Scams and more. This entry was posted in Apr, Brighouse, Elland, Get Involved / Have Your Say, Greetland & Stainland, Hipperholme & Lightcliffe, Rastrick and tagged calderdale, Get Involved, News, Newsletter, Safer Communities, Safety, Scams. Drivers caught using mobile phones behind the wheel face stiffer penalties from 1 March. Offenders can now get six points on their licence and a fine of £200. Although Brake welcomes the points increase, a £200 fine for selfishly putting others’ lives in danger is still inadequate. We also want to see a total ban on phone use: the risk of crashing is four times higher whether you use a hands-free or hand-held phone. Get involved and read more about Brake’s Driven to distraction campaign. This entry was posted in Get Involved / Have Your Say and tagged Brake, Driving, Get Involved, News, Road Safety. Calderdale is set to celebrate the official reopening of Elland Bridge with a fun-filled day for all the family on Sunday 2 April 2017. Calderdale Council and the Canal & River Trust, who have been working together to rebuild Elland Bridge since the 2015 floods, are organising an exciting event for the whole community to celebrate the completion of the bridge, the reopening of the canal and towpath and all that’s great about Elland. The event will take place on and around Elland Bridge and the Calder and Hebble Navigation from 10am until 4pm on Sunday 2 April. The full details will be released soon, but there will be lots of great entertainment and activities for all ages; stalls showcasing local businesses; fabulous local food and drink; and a few special surprises! This entry was posted in Apr, Elland, Get Involved / Have Your Say and tagged Calderdale Council, Canal & River Trust, Elland, Event, Family Event, Get Involved, News.